The Stingray, known technically as a Cell-Site Simulator, has sparked controversy at every step of its secretive career. The device allows anyone using it to listen in on phone calls, read text messages, and sniff all mobile and location data of cell phone users in its vicinity. It works by latching on to existing cell towers and then rebroadcasting their signal to unsuspecting users around it. 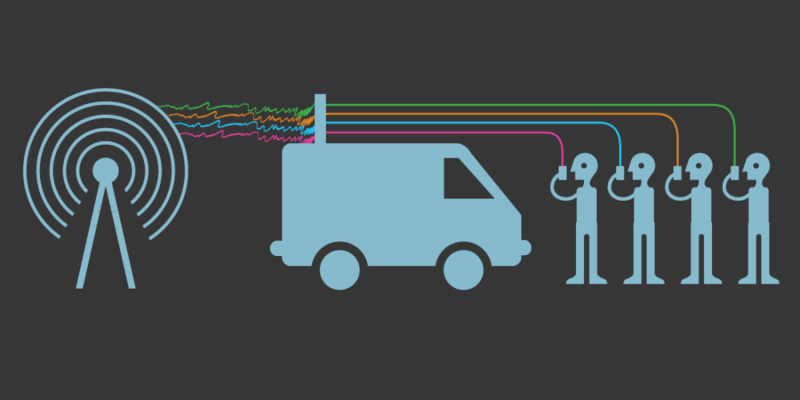 Cell phones can't detect if they are talking to the real cell tower or the Stingray, so this makes it perfect for a man-in-the-middle attack by police or government agencies looking to gather information about a particular group. Naturally, the power to digitally wiretap a phone should come with strict legal requirements, but that hasn't always been the case. There have been numerous documented cases of police departments using them on crowds without a warrant. In an effort to regulate these devices, the House and Senate Oversight Committees have introduced bills requiring a warrant in order to use the Stingray device. The call to action was brought up last year, but the first bills were introduced this week. The Geolocation Privacy and Surveillance (GPS) act would require a warrant for all domestic law enforcement agencies to track the location and movement of individual Americans. While this legislation is focused on location tracking and not so much on data collection, it's a step in the right direction. Mobile technology evolved much faster than the legislation regulating it. With these newly proposed bills, the DOJ's guidelines would become statutory requirements and not just a piece of paper. Police departments would need to get a warrant to use the device instead of just being able to use them on a whim. As one representative put it "this bill sets out clear rules to make sure our laws keep up with the times." What brought this on? Is Trump now worried that all his discriminatory, sexist, racist, derogatory, clandestine, sexually suggestive, childish, profanity filled conversations, of which there are probably too many to count, may be laid 'bare' for all to hear? Long overdue. The next step should be a complete accounting of which data services (Google, Microsoft, etc) have created back doors for the benefit of the intelligence community. Its truly mind-boggling just how indifferent the previous two administrations were when it came to accountability for wiretapping activities. Hopefully things will be different going forward. My obamaphone/trumpphone is using one I think. I won't tell you how I know. It started with george bush senior because he was head of the cia, so don't exactly blame the present people. Always blown away how the vast majority of people are pro-criminal. Always blown away by the people who think the Bill of Rights is 'pro-criminal'. DAMN THE 4TH AMENDMENT! We are watching you. Don't do what you are planning on doing. We know. That is because something they need to rely on criminal activity in order to survive where their government would not help them and on the contrary would "punish" them to be good citizen. In other word some peoples are better treated with criminal than their own government.